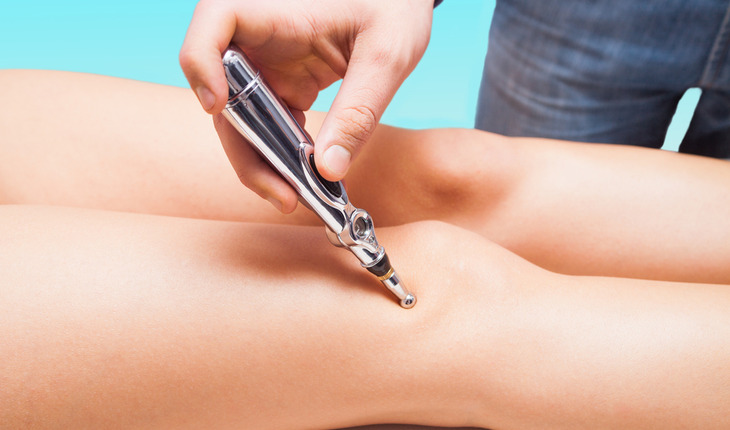 Among patients older than 50 years with moderate to severe chronic knee pain, neither laser nor needle acupuncture provided greater benefit on pain or function compared to sham laser acupuncture, according to a study in the October 1st 2014 issue of JAMA. A release from the publishers notes that chronic knee pain affects many people older than 50 years and is the most common pain concern among older people consulting family physicians. Nonpharmacological approaches are central to managing chronic knee pain, and patients with joint pain frequently use complementary and alternative medicine. Acupuncture is the most popular of alternative medical systems, with use increasing over time. Although traditionally administered with needles, laser acupuncture (low-intensity laser therapy to acupuncture points) is a noninvasive alternative with evidence of benefit in some pain conditions. There is debate about the benefit of acupuncture for knee pain, according to background information in the article. Rana S. Hinman, Ph.D., of the University of Melbourne, Australia, and colleagues randomly assigned 282 patients (50 years or older) with chronic knee pain to no acupuncture (control group, n = 71) or needle (n = 70), laser (n = 71), or sham laser (n = 70) acupuncture. Treatments were delivered for 12 weeks. Participants and acupuncturists were blinded to laser and sham (inactive) laser acupuncture. There were no significant differences in primary outcomes (measures of knee pain and physical function) between active and sham acupuncture at 12 weeks or 1 year. Both needle and laser acupuncture resulted in modest improvements in pain compared with control at 12 weeks that were not maintained at 1 year. Needle acupuncture improved physical function at 12 weeks compared with control but was not different from sham acupuncture and was not maintained at 1 year. Most secondary outcomes (other pain and function measures, quality of life, global change, and 1-year follow-up) showed no difference. Needle acupuncture improved pain on walking at 12 weeks but was not maintained at 1 year.